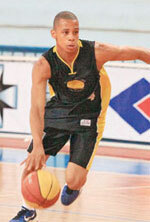 Pinheiros Sao Paulo U21 team (LDB U21) inked small forward Jamison Costa (200-104kg/">). He played in the summer at Country. Costa also played for Maringa (Parana State). Despite young age Costa had impressive career. He was selected to Latinbasket.com All-LDB U21 League Honorable Mention in 2018.